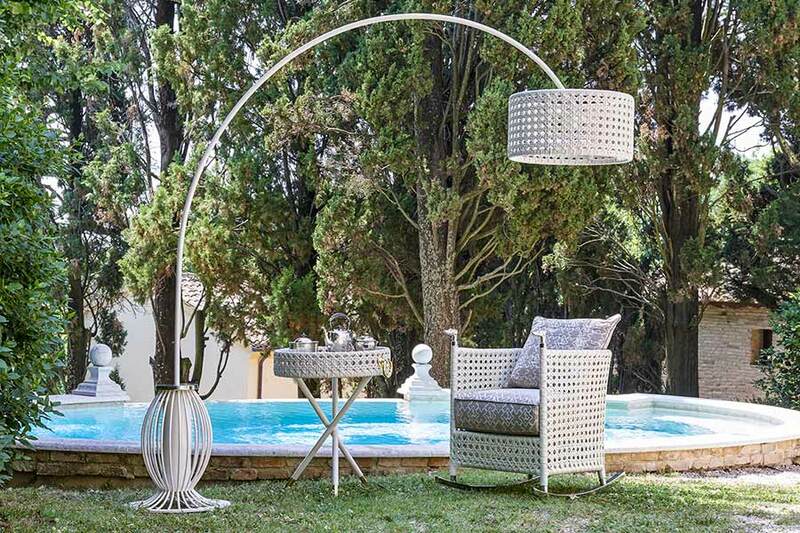 The outdoors lights up with noble yet classic forms thanks to decorative and technological creations designed by Samuele Mazza, in which light and matter blend and enhance each other. 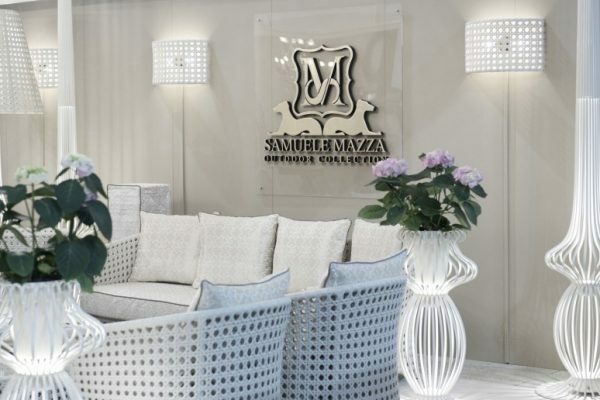 The Samuele Mazza Outdoor Collection expands its distinctive design philosophy to unique lighting solutions for the outdoors. The outdoor furniture collection has been enriched with magnificent arc and floor lamps, suspension and wall fixtures, for an unprecedented total outdoor look. 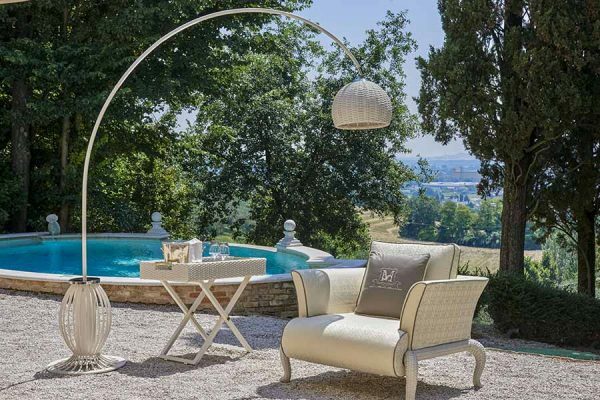 Just like every piece of furniture in our outdoor collection, these handcrafted lighting solutions guarantee an elegant and decorative effect, and are the symbol of our unrivalled excellence. Each element is designed to withstand outdoor environments. 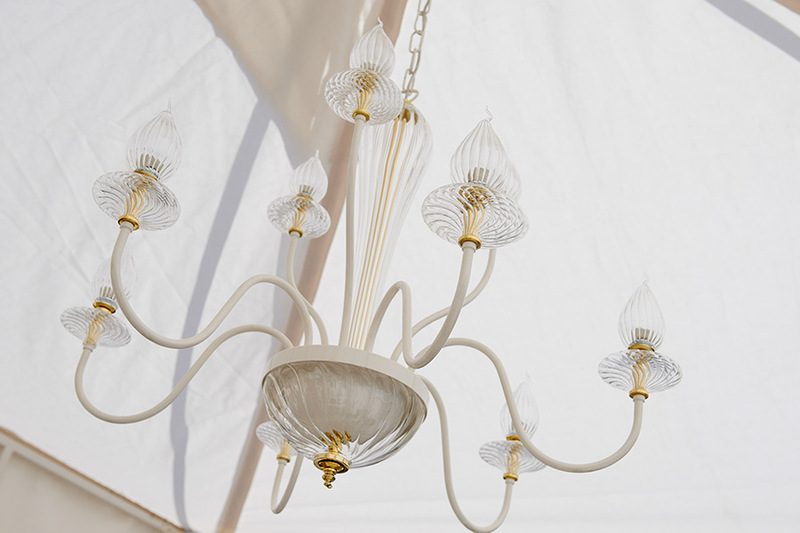 The materials are the same used in our furniture and technological equipment and the lighting fixtures are certified for outdoor use. 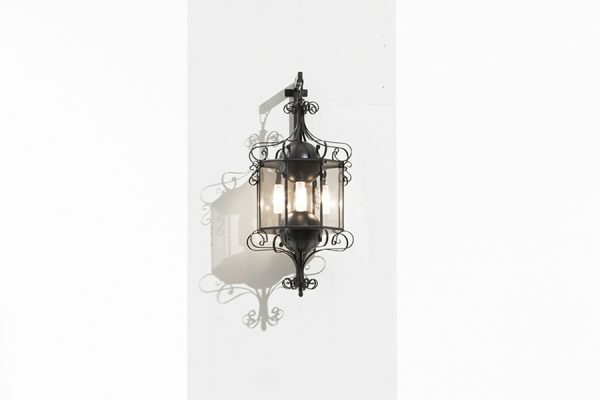 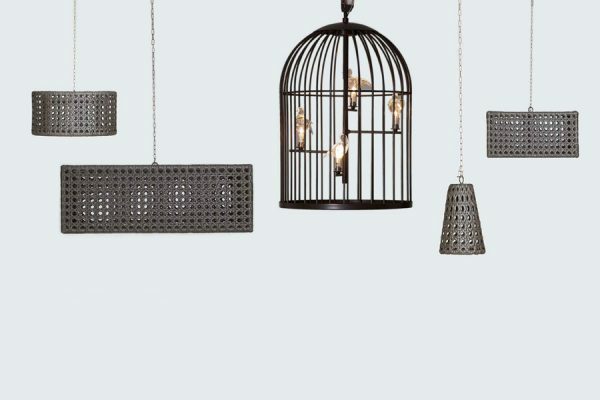 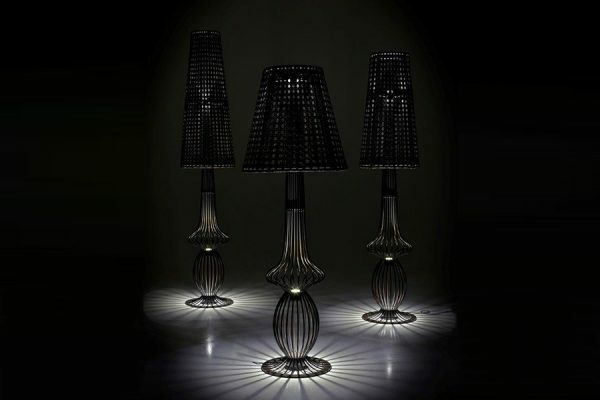 The lights are designed to complement the outdoor furnishings in the collection with the same name. An example is the Sole suspension light fixture made of iron with Murano blown glass details which matches perfectly with the Sole gazebos, for a touch of class and elegance in your outdoor environment. In addition to the lighting fixtures, the collection also features the Sole and Naos illuminated pot planters. 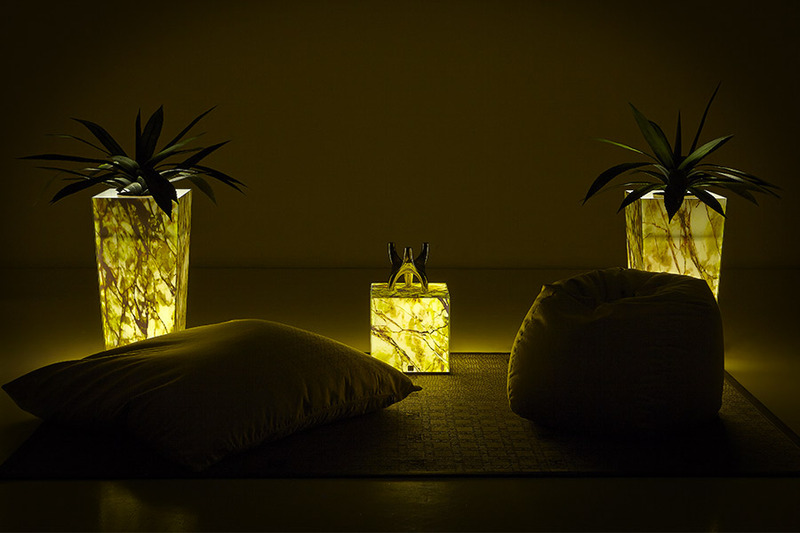 These design planters will add a magical glow to your outdoor setting. 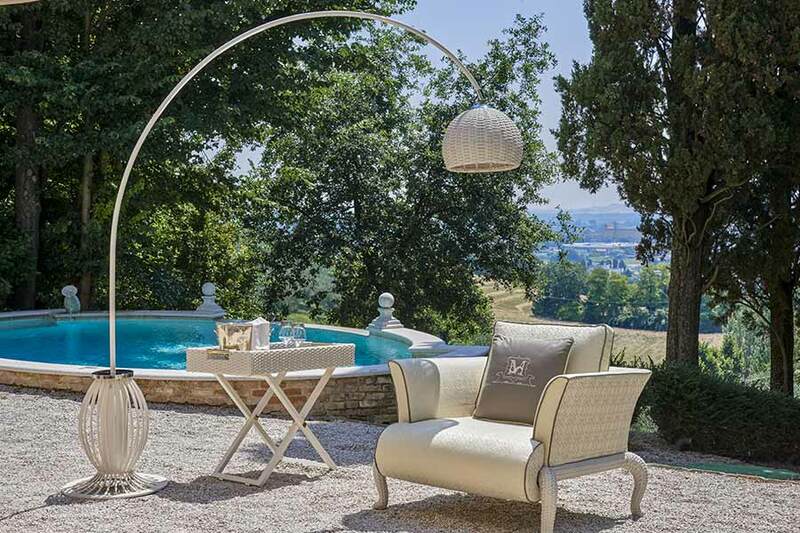 Unusual finishes and refined stylistic choices, combined with the technical characteristics requested for external lighting, result in a luxurious and refined atmosphere.